On January 5th 1066, King Edward, (later known as the Confessor) lay dying at Westminster, London. He passed peacefully away either late on the 5th or in the early hours of the 6th, and Earl Harold Godwinson of Wessex was crowned King in the newly built Westminster Abbey, on the 6th January. The first English King to be crowned there - and the last. 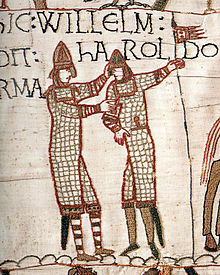 This crowning was the catalyst that started the events of 1066, and there are two views as to the right or wrong of it. 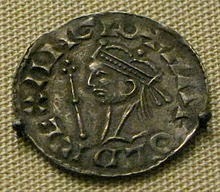 Duke William of Normandy believed that Edward had promised him the Crown. Born some time between 1003 and 1005, from 1017 until 1041 Edward had been exiled in Normandy. His mother, was Queen Emma - daughter of Richard I of Normandy, his father Aethelred (the Unready). When Emma took the Danish Conqueror of England, Cnut, (more familiarly spelt Canute - and yes, he of 'hold back the tide' fame) as her second husband, her sons, Edward and Alfred had to flee. Obviously Normandy under the protection of Emma's kindred was the safest place. Edward would have known the young Duke William very well. William was the son of Richard II of Normandy, the result of a liaison with the daughter of a tanner. Richard died when William was eight years old, with no other heir, he became Duke. For more than thirty years Edward languished in Normandy (Alfred dying a most horrible death while trying to reclaim England), only recalled to be crowned King when Cnut and Emma's son died. (There were other possible contenders but Emma saw to it that her son got the Top Prize). It is possible, though not recorded, that William came to England during this time when the Godwin's were in exile - a legitimate visit to see his Great Aunt, Emma, who was by then elderly. Did Edward promise the throne to his young friend and kinsmen during this visit? Did Emma, perhaps suggest it to her Great Nephew - after all William was kin, the Godwinsons were not. But the Godwins fought their way back to even greater power, and virtually ruled England in the King's stead. after 1052. A few years before 1066 (1063/4?) we know that Harold was at William's Court. What we do not know is why. The Normans claimed it was to offer Edward's assurance that the English Throne would still become William's. To ensure Harold's loyalty to this end, he had to swear an oath on Holy relics to support William when Edward died. He didn't support him. Quite the opposite in fact. According to the Normans, the crowning of Harold II took place in unnecessary haste and the holy anointing undertaken by Stigand, the illegally placed Archbishop of Canterbury. (Rome had never approved his appointment) thus making the whole ceremony void. When William heard of the outrage he immediately set about an invasion to secure his rightful place as King. We know the rest . For one thing Edward could still, in 1051/2, possibly have his own sons. For another it was English law for the Witan - the council to elect a king - the most 'Kingworthy' man. Yes, normally this was the eldest son for he would have been 'trained' for the job - but Edward had no sons. The Exile's son, Edgar, then about five years old, grew up at the English court and given the designation 'Ætheling' or throneworthy, (i.e. 'heir'). But he would still have been a youth in 1066, so probably regarded as not capable of ruling or leading an army against William. (One can see a parrallel in later years when Richard III was crowned instead of the two young princes - probably for exactly the same reason). 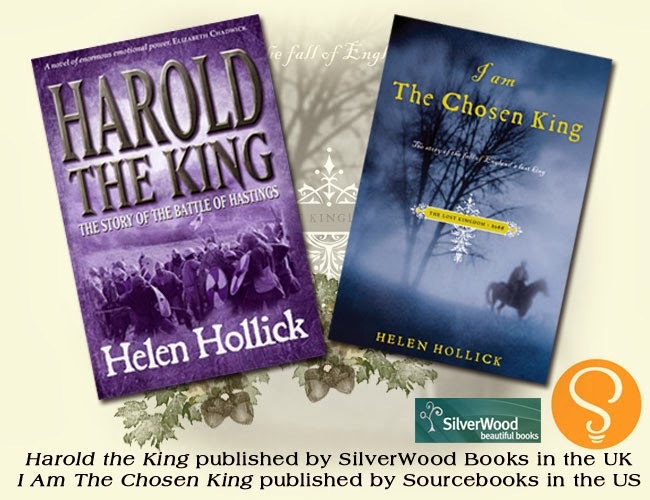 Edgar was briefly declared king after Harold's death in October 1066, but that hope failed against the might of William's army and determination. Edgar's name was absent from any witness lists of Edward's diplomas, and there is no evidence in the Domesday Book that he was a substantial landowner, both possibly indicating his young age. The next most Kingworthy was Harold - proven as a leader, commander, warlord and administrator. It was also known that William would strongly object - they had to chose a man who was capable (at least in theory) of defeating him. The coronation was not performed in undue haste - that familiar saying? 'The King is dead; Long live the King!' is there for a reason. Uninterrupted continuity. The Earls, Bishops, important people were gathered at Westminster for the Christmas Court. They had remained longer because the King was dying. They wanted to return to their homes and lands - the next opportunity for a crowning would have been Easter - so of course the service took place at the earliest possible time. The 6th January. 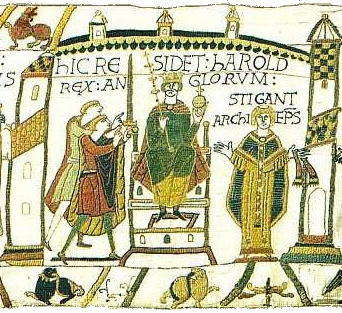 And Stigand did not crown or anoint Harold - Ealdred, Archbishop of York did. There was no question of his legality. Harold did return to England with Hakon, but Wulfnoth never saw his freedom again. Harold was probably forced to make that oath of loyalty. If he had not, he and his men would either have been imprisoned or killed - and Saxon honour at this time beheld a Lord to protect his men at whatever personal cost. What was more honourable for Harold? To deny Duke William and see his men slaughtered, or perjure himself to save their lives? He chose the latter. Good for him. So who do you think was right? Norman or English? Feel free to add your view in the comments below. Helen Hollick lives on a thirteen-acre farm in Devon, England. Born in London, she wrote pony stories as a teenager, moved to science-fiction and fantasy, and then discovered historical fiction. Published for over twenty years with her Arthurian Trilogy, and the 1066 era, she became a USA Today bestseller with her novel about Queen Emma The Forever Queen (UK title A Hollow Crown.) She also writes the Sea Witch Voyages, pirate-based nautical adventures with a touch of fantasy. She has written a non-fiction about pirates and one about smugglers in fact and fiction which is due to be published in 2019. Thanks for the fascinating - and appropriate - post. It's fairly clear which viewpoint you think is the right one. ;-) Well, really, they were all related anyhow. The rulers, I mean. It must have been hard on the ordinary folk when the Normans invaded. The cultures were different enough to make their lives harder. PS When will this novel turn up on iBooks? I could only find a couple of books set in later eras. No idea Sue - I'll consult my publishers. LOL Sue - you noticed! :-) When I set out to write 'Harold' my original intention was to 'let the reader decide' but I came to love Harold and to firmly support England - and ended up loathing William. Obviously my English roots are planted firmer than I thought! Wonderful post, Helen. This subject has always fascinated me. Thanks, Helen. It is nice to get the side points brought out--it clarifies things! English! :) Long live King Harold. Definitely King Harold! By initiating and carrying out a war with England, William was the cause of many deaths, depriving male English landowners of their lands, and bringing the Anglo-Saxon culture to an end. What annoys me is that so many of our history books _start_ at 1066 completely ignoring anything between the Romans and William. It's about time we also numbered our kings from pre-William as well! I'm with team Harold! William and his allies overthrew a civilised administrative and legal system, subjecting England to centuries of 'might is right'. Helen, I enjoyed the comparison idea and I hope the film is released soon. I would like to know more about The Abbey which is dedicated to Saint Peter. 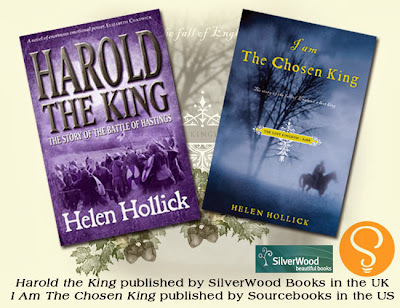 King Harold is the only Chosen King. I've always felt that the Normans were oppressors, adopting perhaps the worst of their Norse forebears. Even the other Harold might have been better - just not Tostig. I'm English and agree that Harold got diddled, but I'm also happy that we managed to get Henry II Plantagenet.